Those of you who know me well, know that I don't like to ask for help, at all. But, this time I really need if. 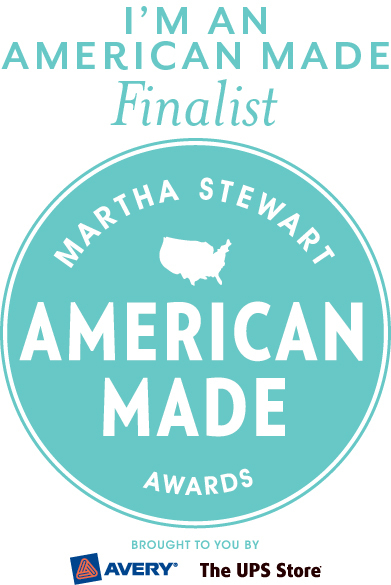 As some of you may already know, I found out on Friday that I am one of 100 finalists for the Audience Choice Awards in Martha Stewart Living Omnimedia’s inaugural “American Made,” a multimedia celebration of American artists, artisans and entrepreneurs. The search for the Audience Choice winner began last month with over 2000 applicants, and I was selected as a finalist by the editors of Martha Stewart Living. The fact that I am a finalist and have made it this far is beyond exciting and incredibly humbling to me, to tell you the truth. And now I’m asking for your help. And here's where you and your friends come in. The winner of this award will be selected, in part, based on the amount of votes that he or she receives on the Martha Stewart American Made website. Voting is open now and runs through September 24, and you are able to vote once a day. So I am asking for your vote, and to help me spread the word, please. I know you are all extremely busy, but if you (and anyone else you may know who would be interested) are up for it, you can vote once a day, now through September 24. Please vote, and vote often!! 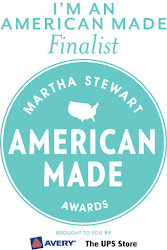 The Audience Choice winner will be announced on October 8, will receive $10,000 to further his or her business and a trip to New York City to be part of the inaugural “American Made” event next month, and will be featured in the December issue of Martha Stewart Living. 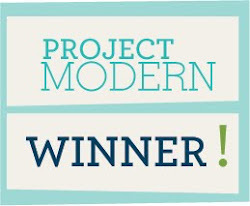 Winning this award would be life changing for my family and I. It would allow me to do many things that I have wanted to do for a long time to help grow my business including creating paper patterns of my quilt designs for wider distribution, exhibiting at national trade shows so that my voice will be heard by even more people, and starting a series of workshops where I teach and share my love of modern quilting and design. And thank you to all of you who have already voted for me. I'm so grateful for all of the support and encouragement that I've received so far from my family and friends. I couldn't do this without you! I voted again. Looks like you're in fifth or sixth place right now...totally awesome! Good luck! I voted for ya! Good luck!! Heather, you got my vote and will continue to get my vote until it's over. And you got it not because you asked, but because you deserve it! I'm holding back my bias a a quilter...really. Your work is beautiful. More than beautiful, they will be treasured keepsakes. Good luck!